The Hinderer EDP - or Extreme Duty Pen is a great choice when you need to give your everyday carry gear a tactical upgrade. 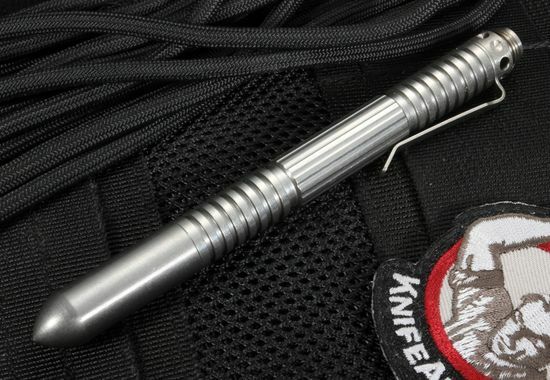 Tactical experience along with precision manufacturing techniques were used by Rick Hinderer to create a unique line of modular pens that primarily are used for writing but can quickly be turned into a defensive weapon. You will find that the Extreme Duty Pen (EDP) series is sturdy and sophisticated. Utilizing superior state of the art CNC and CAD_CAM technology, the American-made quality surpasses expectations of any Hinderer creation. Extreme Duty pens are equipped with a threaded, bullet tip to help. This pen is built to last a lifetime. 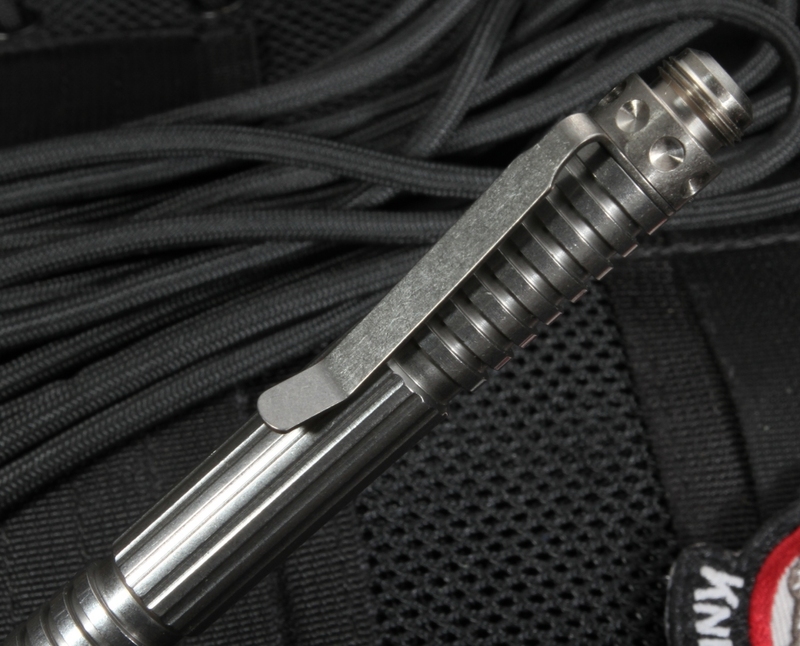 Robust and tactful, an Extreme Duty pen is easy for you to carry in a shirt or jacket pocket with the titanium clip. The grooves are located and spaced perfectly to allow for a comfortable grip for daily writing activities and at the same time offer superb slip resistant for defensive or tactical situations. Refilling is made easy with the Fisher Space Pen Pressurized #PR4B Black Bold Refills. 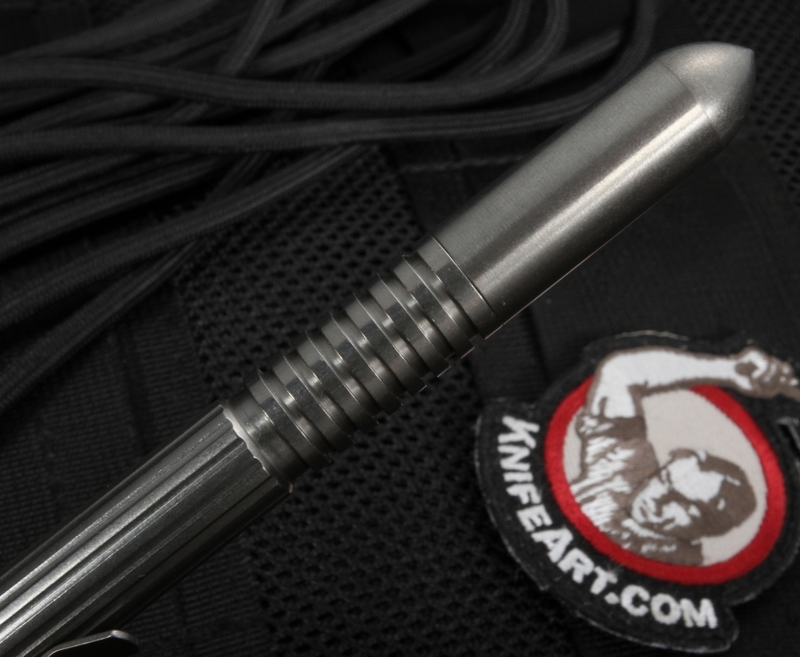 Overall the Extreme Duty Pen in stainless steel was designed to take some serious abuse. From daily writing and signing documents to blunt force strikes, you will not be let down. Offering you durability, reliability and comfort the Extreme Duty Pen series is composition and protection perfection. American made. TOTAL SIZE WITH CAP: 5 1/2"
First class product! enough heft to be quite effictive if needed for more than a pen. Had my last tactical pen taken by the TSA ,I'll put this one in my checked baggage(even though I dont really want to).